Menhir L is an actif floorstander with integrated amplifier. 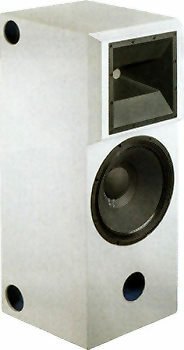 Menhir employs Monacor loudspeakers and a Monacor amplifier with digital signal processor AKB-400DSP. Menhir L has been developed by Stefan Woidt and Oliver Martin. The Monacor amplifier AKB-400DSP contains two power aamplifiers with 200W (at 4 Ohm) each. The digital signal processor (DSP) is used as crossover.